Wisconsin Gov. Scott Walker, who impressed an audience of conservative activists and operatives at the Iowa Freedom Summit Saturday, took a concrete step toward a presidential campaign in 2016. He activated a new website and announced a 527 leadership organization called "Our American Revival" to fund activities related to the development of a campaign. The "527" designation is so named for the part of the tax code that sanctions the committee. This kind of entity allows Walker to raise unlimited amounts of money from anyone and spend on political activities, as long as those funds aren't used for direct electioneering activities--that is, directly advocating for or against a candidate or party. Such organizations must also disclose their donors. Walker released a statement saying his new group would "work to enact policies that will lead to a more free and prosperous America by restoring power to the states and - more importantly - the people." 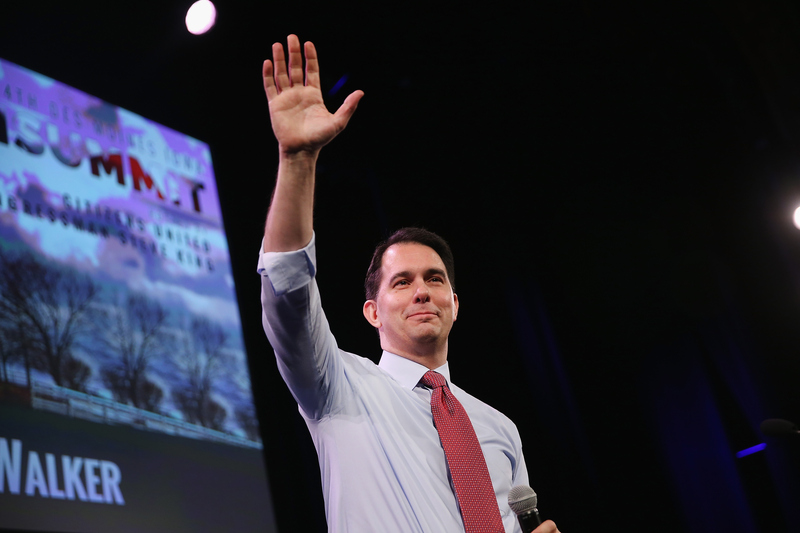 The website makes clear that Walker's central message is about limiting the power of the federal government. It prominently features a quote from Ronald Reagan espousing the same sentiment: "All of us need to be reminded that the federal government did not create the states; the states created the federal government." Former Republican National Committee political director Rick Wiley was named to be executive director of the new organization. As for the timing of any decision to run for president, Walker suggested in an interview with radio host Hugh Hewitt earlier this month that any serious candidate "has to be in the race" by mid-2015.